TechRadar has spoken to Three to ask how it has managed to dramatically undercut its competitors when it comes to iPad data. 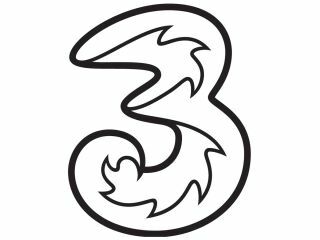 Three's data offering of 10GB for £15 per month is much cheaper than competitors, with the same amount costing £25 on Orange and only 5GB for the £25 on Vodafone. "Our network is a pure 3G network, set up for mobile internet, so we can ensure we give our customers the best value. "Mobile data is seen by the big guys as a substitute for declining voice revenue, maybe that's why they're keeping [the cost] higher." Allera pointed to dramatic slide in mobile data costs that have happened in the last ten years as proof that customers are increasingly turning to 3G networks to access the internet. In 2005, Vodafone was offering 100MB of data per month for £50, and in 2007 O2 improved its mobile data offering to £30 for 3GB. "Our 15GB for £15 [mobile broadband] plan is on a 24 month contract, and our philosophy [for the iPad] is not to tie people in, rather allow users to 'snack' on the internet with 30 day rolling contracts. "We could see some changes [on our iPad tariffs] as mobile broadband usage has changed dramatically from year to year."